The second ESRC Fat Studies and Health At Every Size (HAES) seminar took place last week at Warwick University. Here's a recap: ESRC stands for Economic and Social Research Council, which is an agency that is funded by the UK government. The ESRC produces research and conducts training to address economic and social concerns. Getting ESRC funding for academic projects in the UK is a big deal and it was Bethan Evans of Durham University who had the great idea to apply to them for some money for a series of Fat Studies seminars. A bunch of us supported the application, which was successful (will Fat Studies projects still get funding under the new government? Erk). There are four funded seminars in total, we're two down and have two to go. So last week a group of researchers came together to share their work under the premise of exploring Fat in the Clinic/HAES. I don't have the space or the inclination to go into detail about all of the presentations, it's likely that materials will be made available on the ESRC Fat Studies and Health At Every Size site before too long, you can make up your own minds about them there. But I'll talk about the things that I liked very much about the seminar. Karen Throsby gave a paper which explored the ways that weight loss surgery, or obesity surgery, is understood both within dominant obesity discourse and in fat activism. She talked about the tendency to position people who have had surgery as dupes, victims, or suffering from false consciousness. Karen described episodes of resistance, and dared to present some of the complexities in understanding fatness offered by people who have had obesity surgery. I thought her paper was very brave in the way that it rejected polarised certainties about surgery and grappled with some of the grey areas it presents. 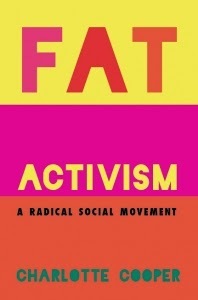 I don't think that surgery is going away any time soon, I think it's high time that fat activism developed a more nuanced and compassionate view of people who decide to take that route, and I think Karen's research is an important contribution to this end. Sharon Curtis talked about her personal journey into HAES. It was great to see how she was able to draw upon her own resilience and strength as she was growing up, which she described with typical modesty. I was moved by the process by which she was able to work things out for herself, the way she drew upon the resources available to her, and how this enabled her to reject self-hatred, even when this was being pushed by people close to her. She's brilliant. Lucy Aphramor had a copy of Laura McKibbin's Food For Thought Pyramid, a re-imagining of those healthy eating pyramids you see at the clinic. It's funny and right-on, take a look for yourselves. Louise Mansfield offered a similar HAES reconstitution of the well-worn advice about how much exercise is appropriate. I enjoyed her presentation very much but one of the things that struck me about it was how she used terms such as fatphobia. I think it highlights how I don't expect normatively-sized people to understand concepts that are central and particular to my experience as a fatty, especially not academics or others involved in fields like dietetics or physical education that are often saturated with contempt for people like me. 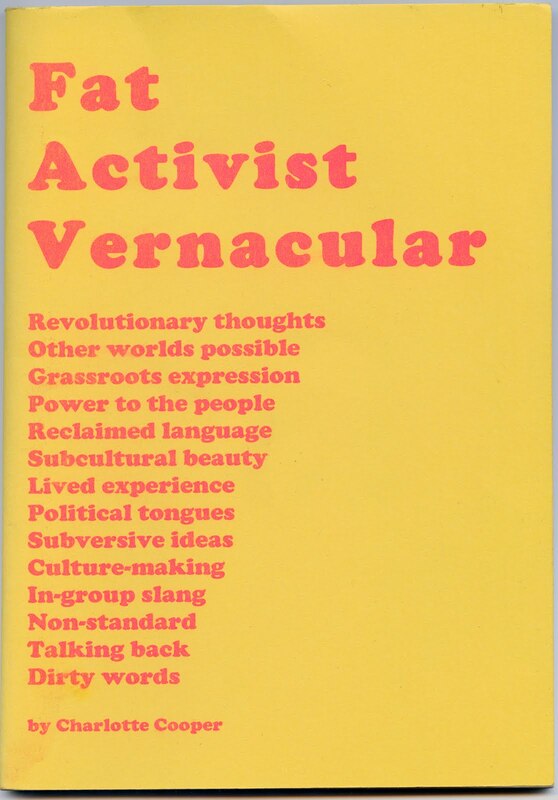 But for the moment it was strange and quite lovely to hear Louise chuck these terms around as though they are real, which they are, and to honour and respect this experience, which is largely outside her own life. It was validating. The seminar was not a complete love-fest for me, it brought to light some of the ways in which I feel critical of HAES. This includes my own disdain for uptight professionalism which its attendant esteem for authoritative evidence and strategy at the expense of experiential ways of knowing and acting; the split between those who do and those who are done-to in research and in the clinic and the unequal/unspoken power relationships this represents; how reflexivity is not always apparent; evangelism within HAES and the pressure to be poster children for the cause. I don't expect one seminar, part of a fledgling series, to be able to respond to these criticisms, but I'm glad that it prompted me to develop my thinking around this stuff. What has been most exciting about the two seminars so far, and which I hope will continue, is the sense that people attending feel that they are part of something. It's a relief to be able to speak up about our work without having to offer too much background explanation, or having to justify what we do. I think the seminar's accessibility is really radical: they are open to all, they're free to attend, and there are bursaries available to cover travel and accommodation for people on low incomes. This means that a mixture of people come, and there's a sense of community about them. It's thrilling to see this work grow in such a context. The next ESRC Fat Studies and HAES seminar will take place in November, probably in London. It's theme is Experiencing and Celebrating Fatness – woo hoo! – and yours truly is co-organising it with Shirlene Badger. Thanks for the report, very interesting! I agree with what you say about Karen's work. It is a difficult grey area to grapple with; I think people who have had the surgery and aren't in the "I wish I had never had it" camp land potentially in a difficult position with regards to fat acceptance, especially if they are still fat. Looking forward to the next seminar! Yes, it's complicated. I'm glad these conversations are coming to light, I welcome them.